Robots in disguise - now as a disguise! 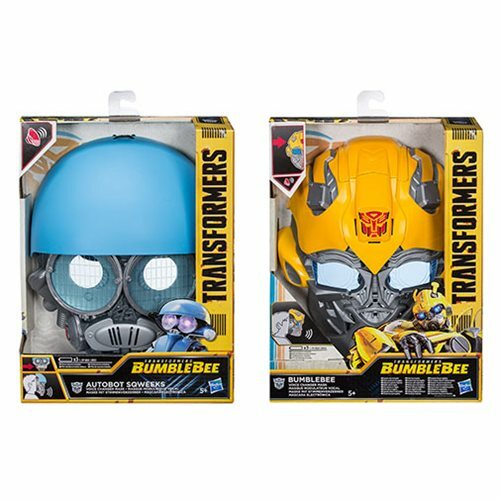 Hide your face and your voice with Transformers Bumblebee Movie Voice Changer Masks. These electronic face replacers let kids of all ages sound like Autobots and Decepticons from the big movie. Save Earth - and Cybertron, too - with these awesome wearable masks! Each mask requires 3x "AA" batteries, not included. Ages 5 and up.